The power of SmartMouth is in the activation. 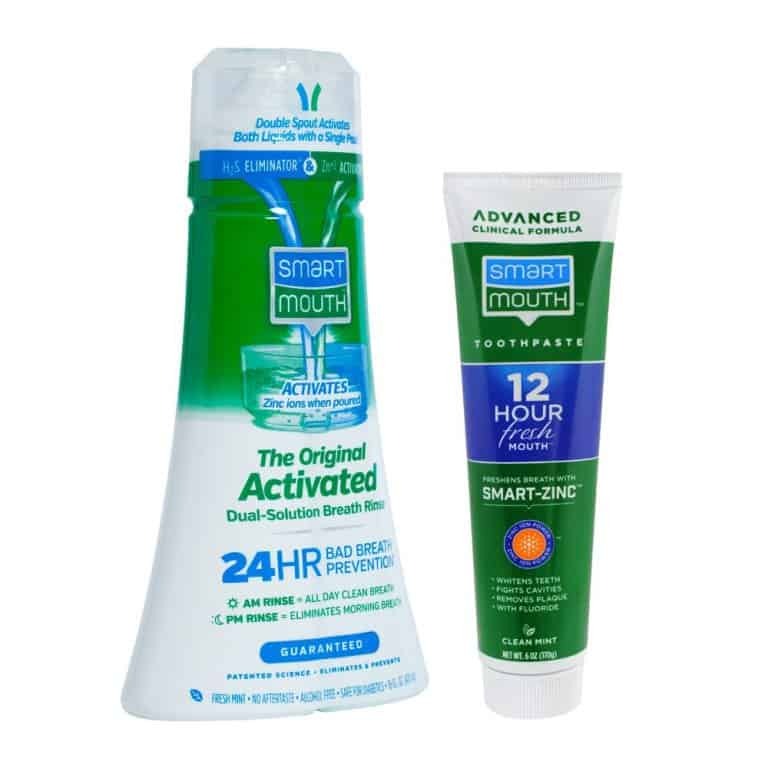 Pour the two solutions together to activate the Smart-Zinc, which knocks out and prevents bad breath from returning for 12-hours with each rinse. SmartMouth’s Premium Toothpaste uses Smart-Zinc technology in conjunction with other premium features to provide enamel strengthening, anti-plaque, anti-cavity, sensitive whitening and elite oral health protection. Why use SmartMouth to stop bad breath? Brushing and flossing alone won’t solve bad breath, and minty mouthwashes will only mask it. If you want to eliminate bad breath and prevent it from returning, you need to fight the real cause of bad breath: sulfur gas. Learn how SmartMouth’s activated technology works.